Legal Notice | Driving Knights Ltd.
Driving Knights Ltd. require that all visitor= s to this site agree to these terms and conditions. If you do not agree, you sho= uld not use this site. By accessing the site you indicate your acknowledgment a= nd acceptance of these terms and conditions. The text and images on this Driving Knights website are all subject to intellectual property right protection and such material from www.drivingknights.com (collectively “Driving Knights Ltd.”) may = not be copied, distributed, republished, uploaded, posted or transmitted in any= way without the prior written consent of Driving Knights. Modification or use of the materials for any other purpose violates Driving Knights intellectual property rights. Neither title nor intellectual property rights are transfe= rred to you by access to this site, but remain with Driving Knights Ltd., who ow= ns full and complete title to the material in this site. All remarks, suggestions, ideas, graphics, or other information communic= ated to Driving Knights through or by reason of this site (collectively the “Submission”) will forever be the property of Driving Knights Ltd. Driving Knights will not be required to treat any Submission as confidentia= l, will not be liable for any ideas for its business (including without limitation, product or advertising ideas) and will not incur any liability = as a result of any similarities that may appear in future Driving Knights operations. Without limitation, Driving Knights Ltd. will have the exclusive ownership of all present and future existing rights to the Submission of ev= ery kind and nature everywhere. Driving Knights Ltd. will be entitled to use the Submission for any commercial or other purposes whatsoever without compensa= tion to you or other persons sending a Submission. By access to this site you acknowledge that you are responsible for whatever material you submit, and = you, not Driving Knights, have full responsibility for the message, including its legality, reliability, appropriateness, originality and copyright. Driving Knights Ltd. does not warrant or make any representation regarding the use = of the materials contained in this site in terms of correctness, accuracy, and reliability or otherwise. The material in this site may include technical inaccuracies or typographical errors and Driving Knights Ltd. may make chan= ges or improvements at any time. This is the entire agreement between the parties relating to the use of = this site. Driving Knights Ltd. can revise these terms and conditions at any tim= e by updating this posting. Driving Knights products and services are available = in many parts of the world. However, the Driving Knights site may describe products and services that are not available worldwide. This site may be li= nked to other sites which are not maintained by Driving Knights. Driving Knights Ltd. is not responsible for the content of those sites. All other trademarks are the property of their respective trademark owne= rs. 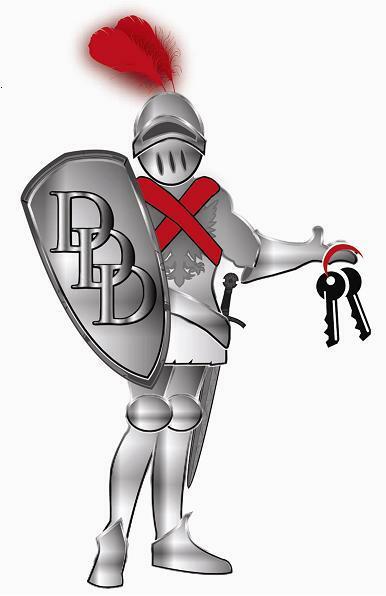 This document describes the policy of Driving Knights Ltd. (“Driving Knights”) policy regarding information received about you during visit= s to our web site. The information received by Driving Knights Ltd. is dictated = by the amount and type of information received during your visit. Driving Knig= hts respects the privacy concerns of the visitors to its site and accordingly, = no personal information is automatically obtained by visiting the site. Howeve= r, Driving Knights may obtain certain non-personal information from its on-line visitors. Such information includes, but is not limited to, the total numbe= r of visitors to the site in the aggregate and the name of Internet server. There may be occasions when Driving Knights obtains personally identifiable infor= mation to provide the visitor with correspondence or otherwise. However, Driving Knights only gathers personally identifiable information, such as names, addresses, e-mail addresses, etc., when a visitor voluntarily submits the s= ame. Such personally identifiable information, which may be gathered in connecti= on with Driving Knights on-line visitors, is used solely by Driving Knights Lt= d. and is not sold, transferred or otherwise disseminated to third parties out= side Driving Knights. Driving Knights Ltd. reserves the right to change this pol= icy at any time. Please check this page periodically for changes.